A couple of these have nothing to do with Poker Copilot. 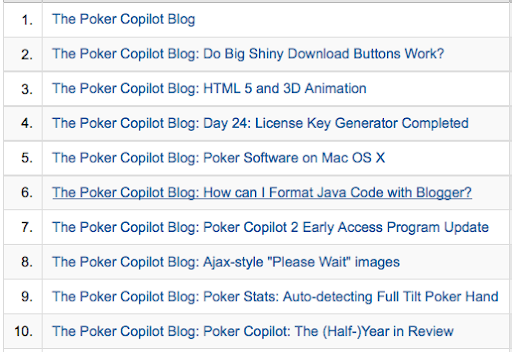 Number 5 (Poker Software on Mac OS X) is one of the few entries I wrote hoping for it to be link bait. It seems it is working. It might be time to update it.